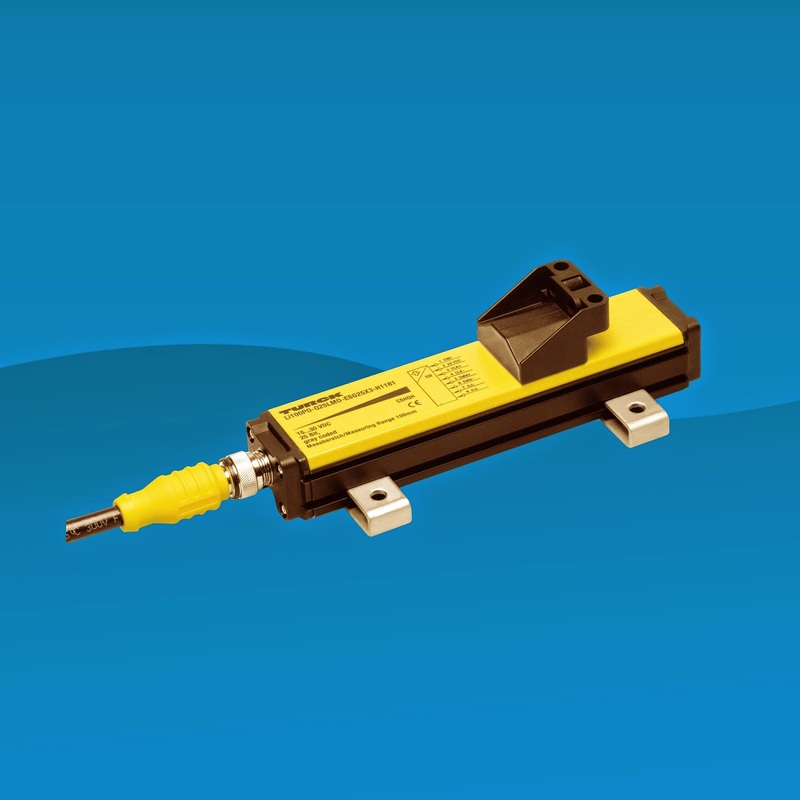 TURCK announces the high speed Q25 inductive linear sensor to the automation market. The internal measuring frequency is user select-able and can be as high as 5 kHz resulting in accurate measuring speeds of 5 meters per second. This high measuring frequency allows the Q25 to provide real time monitoring and measuring, resulting in more precise control than previously available in other linear measurement systems. The Q25 inductive linear position sensors do not require a magnetic position device and are unaffected by metal debris commonly found in many industrial applications. The sensors provide high resolution and can be used to accurately measure lengths up to 1 meter. "We developed the high speed Q25 inductive linear sensor in response to requests for a faster response time" said Marty Cwach, Product Manager at TURCK. "With faster response time for a linear position sensor, our customers will be able to improve machine speed and production efficiency." TURCK's linear inductive sensor operation is based on the RLC resistance inductance capacitance principle. Unlike potentiometric or magnetostrictive technologies, the sensors incorporate precisely manufactured printed emitter and receiver coil systems. The emitter coils are activated with a high frequency AC field and produce an inductive RLC circuit with the positioning element. The element is inductively coupled with the receiver coils, which are arranged so different voltages are induced in the coils, depending on the position of the actuator. The voltages serve as a measure for the sensor signal. Q-track sensors deliver maximum measuring spans, with minimal blind zone and high resistance to EMI/RFI noise interference. The high speed integrated processor converts the signals into a 25 bit gray code SSI signal which can be connected to by an 8 pin M12. The Q25 high speed inductive linear sensors are a very compact design as compared to other designs based on magnetostrictive technologies. TURCK offers the Q25 in 10 standard measuring lengths starting at 100mm with 100mm increments up to 1,000mm. The Q25 has extremely short blind zones of only 29mm on each side. is IP67 rated along with a wide temperature range of -25 to 70 degrees Celsius.